Get that comfy lived in feel with these soft Ringspun Cotton Joggers. 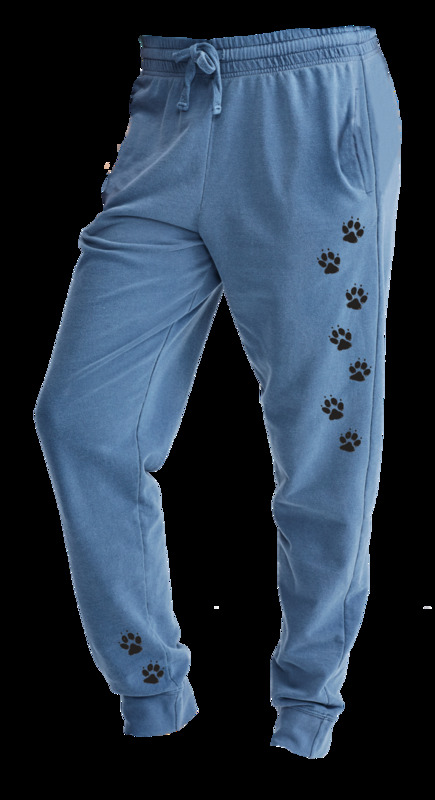 They come with paws down one leg but you can customize them with your breed name. Fit: Relaxed (this item runs small) This product runs small, suggest ordering a size larger than normal.